American Gods is back in action. Recently, Starz released a new behind-the-scenes look at the TV show’s upcoming second season. The supernatural drama is based on the novel by Neil Gaiman and centers on Shadow Moon (Ricky Whittle), a former inmate who is drawn into a secret world where gods and magic are real. The cast also includes Ian McShane, Emily Browning, Pablo Schreiber, Yetide Badaki, Bruce Langley, Crispin Glover, and Orlando Jones. Season two of American Gods is slated to debut on Starz in 2019. What do you think? Have you seen the first season of American Gods? Will you watch season two? 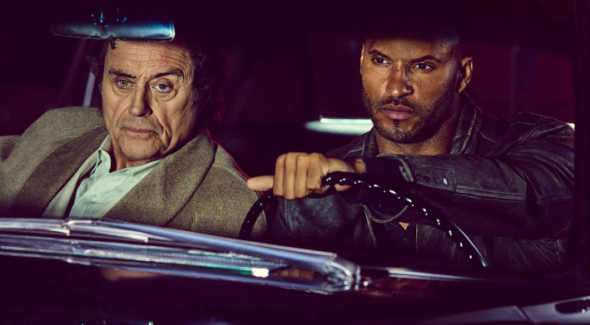 More about: American Gods, American Gods: canceled or renewed?, Starz TV shows: canceled or renewed? American Gods: Episodes Cut; Is the Starz Series in Trouble?